DVD-RAM is the writable version. DVD-ROM & CD ROM are the type of drive and disc for use on computers. Optical disc technology with a 4.7 gigabyte storage capacity on a single-sided. Data can thus be written, erased and re-written. DVDs can hold up to 4.7 GB & CD holds 700MB of data. DCGPAC makes it easy for you to order the CDs and DVDs of Moserbaer online. While the DVD-RAM is the writable version, the DVD-ROM & CD ROM are the type of drive and disc that can be used on computers. 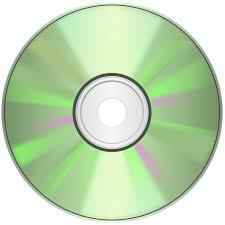 The DVDs & CDs are commonly used to store data in a non-volatile format. These employ the optical disc technology with a 4.7 gigabyte storage capacity on a single-side. The data can thus be written, erased and re-written on these. DVDs can hold up to 4.7 GB, whereas the CDs can hold 700MB of data. Order the CDs and DVDs of Moserbaer online to get them safely delivered at your door step.